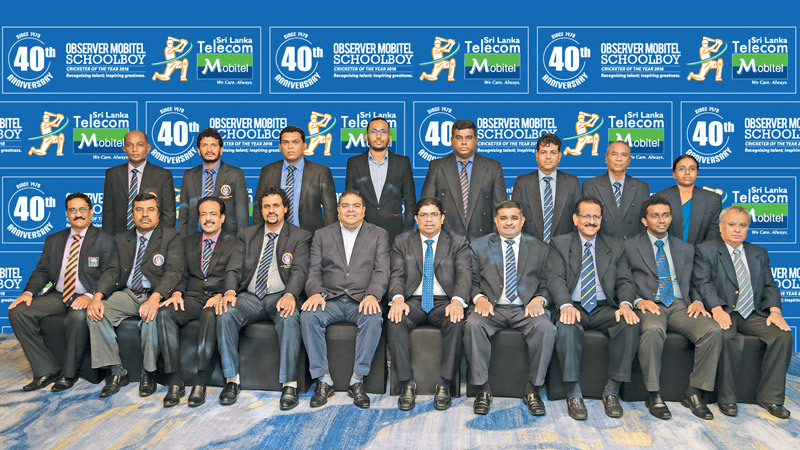 Winners of the 39th Observer-Mobitel Schoolboy Cricketer of the Year 2017 contest were finalized during a Selection Committee meeting at the Galadari Hotel on Monday. ANCL Finance Director Emeric Fernando (Front row centre) and Mobitel (Pvt) Ltd. Channel Communication Senior Manager Jude Silva (Front row third from left) with the selection committee members after finalizing the awards. 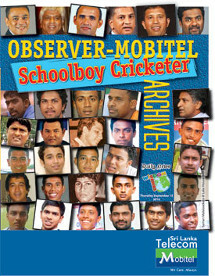 The final selection meeting for the Sunday Observer/Mobitel Schoolboy Cricketer of the Year 2016 was held at the Galadari Bougainvillea Room on Thursday. 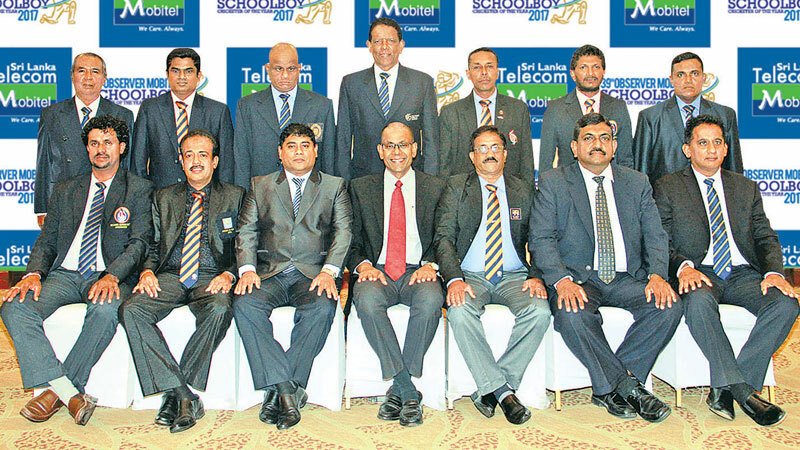 Standing from left: K.K.S.Indrajith, Saman Mohan, Kumara Gamhewa, Keerthi Gunaratne, Ravi Bandara, Manjula Vas.Seated from left: Dilshan de Silva (Chairman Selectors SLSCA), Kapila Jayalath (Secretary, SLSCA), Sarathchandra de Silva (President, SLSCA), Jude Silva (Channel and Communication Manager SLT/Mobitel), Sirimevan Dias (Director Legal ANCL), Shirosha Gunatileka (President, ACUSL), Carlton Bernadus (Director Domestic Cricket SLC), Jagath Senaratne (VP, SLSCA), and Sena Nandaweera (VP ACUSL). Picture by Sulochana Gamage.